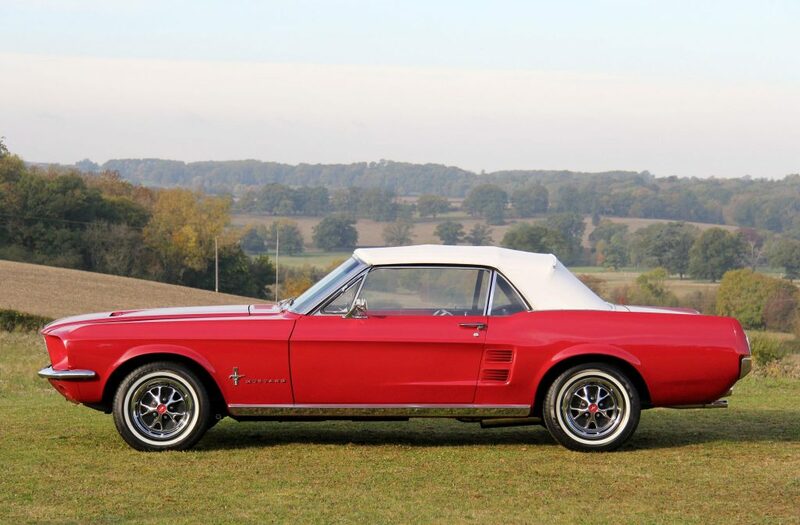 Classic Car Auctions (CCA) will be offering a very special 1967 Ford Mustang Convertible owned by legendary British actor and Game of Thrones star Charles Dance, in its auction on 5th December at The Warwickshire Exhibition Centre. The beautiful Mustang has been owned by Charles since 2002 and was a daily driver right up until 2013. 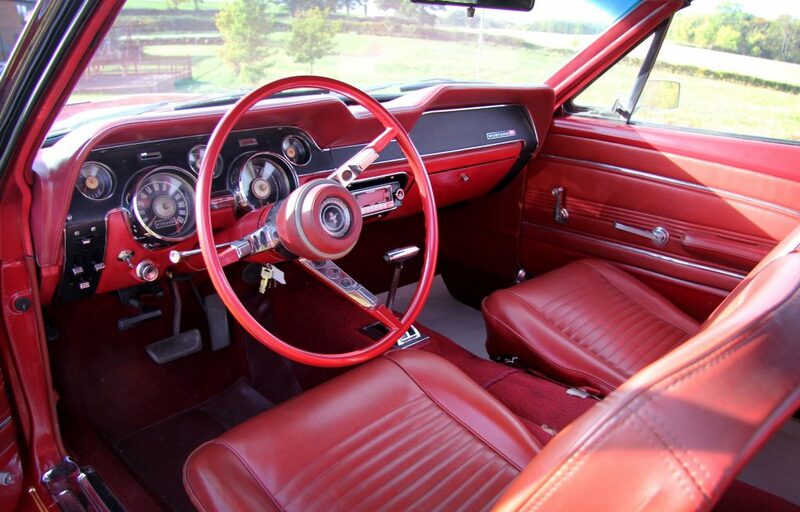 The decision was then made to treat the car to a full restoration, which was undertaken by highly respected specialist Phil King of Classic American Restoration Services. The restoration work comprised of all new floor pans, new rear wings, a fully rebuilt 289 V8 engine and a complete new braking system to name just a few. The car then received a full bare metal re-spray in its fantastic deep red colour, which is perfectly matched with a re-trimmed red leather interior and cream hood. The restoration was only completed in August and now is the time for the car to find a new home. It’s now going under the hammer in CCA’s final sale of year, with an estimate of between £25,000 and £30,000. This car is essentially brand new and described as “out of the box”. It has not been driven on the road since the full restoration other than to obtain its MoT. The car is said to drive just as well as she looks in the pictures, with the big block 4.7L V8 running smoothly. The Mustang will join around 100 other classic cars in CCA’s December sale. 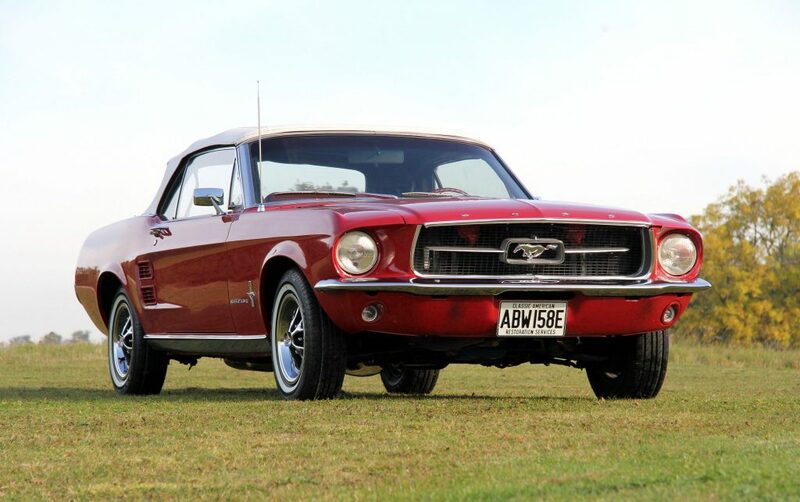 For more information on the car and auction please visit http://www.classiccarauctions.co.uk/1967-ford-mustang-convertible.